The study, presented in a report from Accenture in partnership with Disability : In and the American Association of People with Disabilities, found that companies that championed people with disabilities had higher revenues (up 28%), net income (up 200%) and profit margins (up 30%). 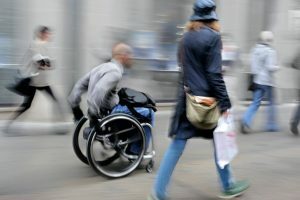 The results were based on an analysis of the financial performance of 140 companies that averaged $43 billion in annual revenues and participated in the Disability Equality Index, a benchmarking tool that rates organizational disability practices and policies. These research findings emphatically contradict a mistaken, but prevalent, perception that hiring employees with disabilities would be a drag on company profitability and performance. Other companies, such as SAP and Ford, have recently started neurodiversity initiatives to recruit and retain job applicants on the autism spectrum for an array of positions from graphic design to data analysis to software testing. In doing so, they are tapping into an underused but highly talented workforce. Companies can benefit greatly from having these loyal, focused, and uniquely detailed employees, if they can learn how to accept and engage them. According to the Bureau of Labor Statistics, only 29% of Americans with a disability were employed in 2018 compared with 75% of those without a disability. With the U.S. labor market as strong (and tight) as it has been in decades, this disparity presents a huge opportunity for savvy recruiters. As we have observed so many times before in this blog, doing the “right thing” can frequently turn out to be a profitable business decision.